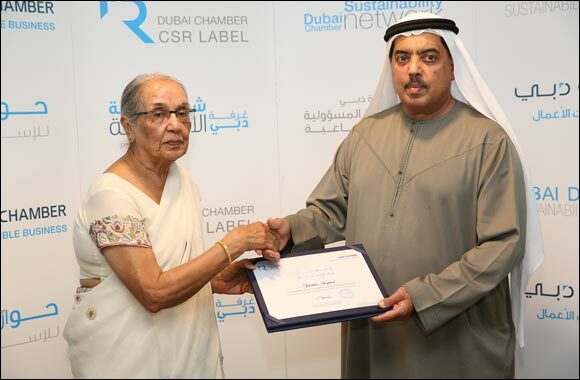 Dubai, January 26, 2014: Zulekha Hospital, one of the foremost highest quality healthcare providers in the UAE, has bagged the coveted the Dubai Chamber CSR Award 2013. The leading healthcare provider received the award at a ceremony held recently at the Dubai Chamber of Commerce headquarters in Dubai. �We at Zulekha Hospital view challenges such as water scarcity, climate change, economic disparity as interdependent - an improvement in one may positively affect outcomes in another. Similarly, a decline in one area may hamper progress in another.� added Dr. Zulekha. In addition to pursuing better standards in healthcare, Zulekha Hospital is committed to the well-being of the society as a whole. The Hospital passionately supports the social initiatives with an aim to reach out and provide healthcare to the underprivileged. As part of Zulekha Hospital's �Reach' initiative that organizes health camps and awareness for the community, championing the cause of sustainability through EFFORT (Earth Friends for Optimum Results Tomorrow), the Hospital is at the core of development in every new facility of the Group. Dr. Kishan Pakkal, Director Operation of Zulekha Hospitals quoted that the organization wishes to make CSR and sustainability reporting a standard practice. Zulekha Hospitals is one of the foremost brands providing the highest quality healthcare in the UAE. Zulekha Hospitals were accorded accreditation by Joint Commission International (JCI), USA for their high quality healthcare services in 2007 and reaccredited in 2010. The Group is also the proud recipient of Dubai Quality Award in 2011.